What role do Lions clubs play on an international level? Lions International is dedicated to leadership development through community service. 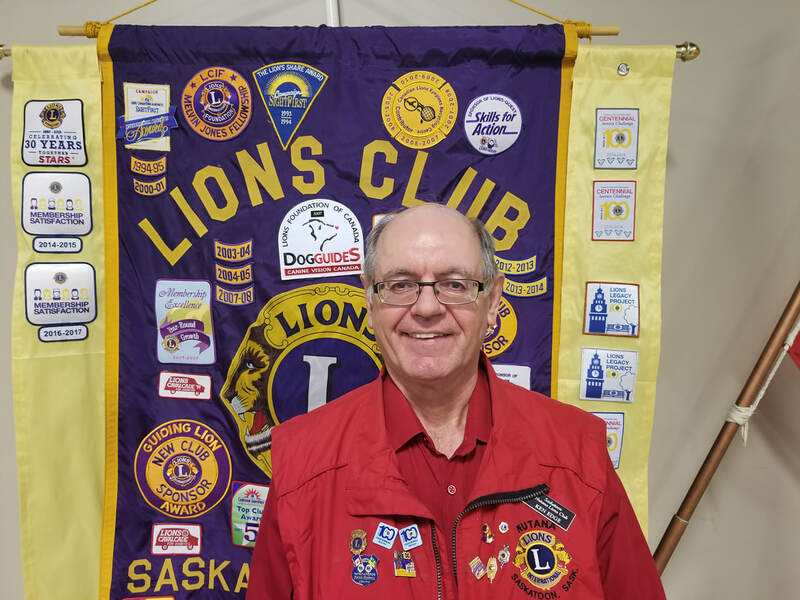 How many Lions clubs are there in Saskatoon? Four Clubs: Martinsville Lions Club, Downtown Lions Club, Millennium Lions Club and the Saskatoon Nutana Lions Club. When does the Saskatoon Nutana Lions Club meet? Supper meetings on first and third Tuesday of each month at the German Cultural Center - 160 Cartwright Street East at 6:00pm. Are there age restrictions to join? Today 1.3 million men and women in 45,040 Lions Clubs in 202 countries and geographic areas carry out our mission, "WE SERVE". Campaign Sight First II was launched in 2005 after funds from the first campaign were mostly used up. This 3 year program ended June 2008 and raised over $200 million US dollars to again be used in getting rid of preventable blindness such as river blindness and reversible blindness such as cataracts. The Saskatoon Nutana Club pledging $6,000 to this cause." In addition to sight services, Lions also assist with services to youth, improving the environment, support diabetes education, conduct hearing programs and, through their foundation, provide disaster relief around the world. Each Spring, the Nutana Lions elect a board of directors from among their membership. The board sets the budget, which is approved by the members, annually and oversees any club committees. The Nutana Lions are pleased to have a full board for the 2017-2018 year. Pictured below is our 2018-2019 club president, Ken Edge.